Modak provides a striking blend of colours with a pinky backdrop and distinctive veining. Shades within Modak include rusty oranges, pinks and pale yellows, producing an individual finish. Modak is available in three single sizes. It is also available in our ever-popular RF7 Project Pack which offers a mixed pack of flags for laying random designs. 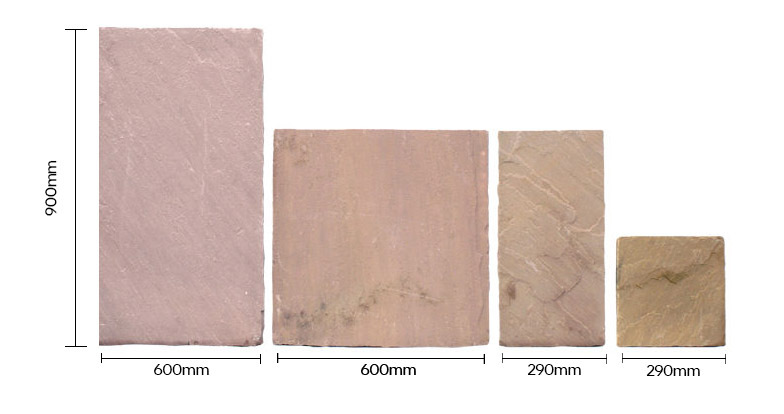 Modak is a natural sandstone that is quarried in India. 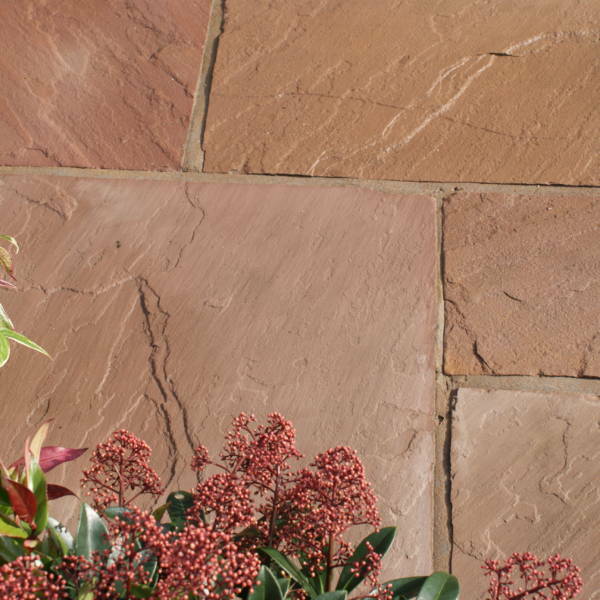 Sandstone is a sedimentary stone that has formed over many years under the earths surface. 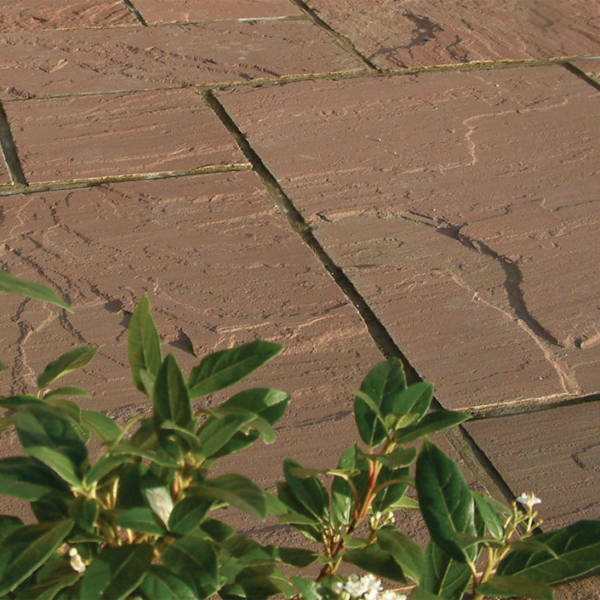 Sandstone is very handsome and hard wearing, ideal for the use on a patio and also a driveway. 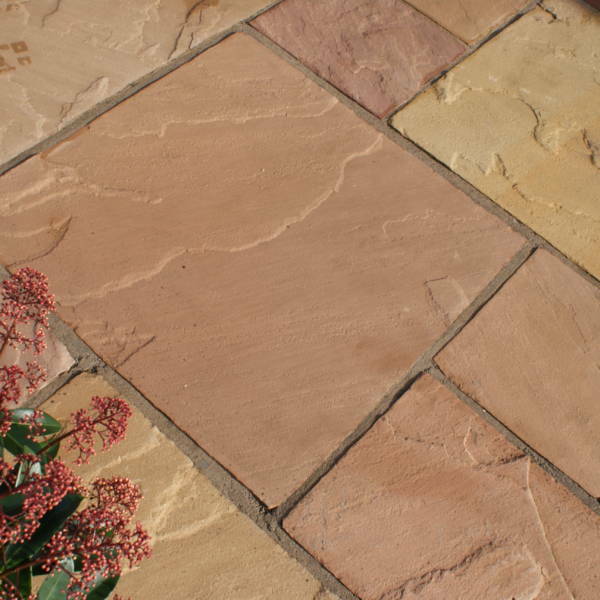 As sandstone is a natural product. there is a special beauty about it. As no piece is exactly the same, sandstone is a unique product that reflects the earth in its simplest form. *Please note, this is a guide only. 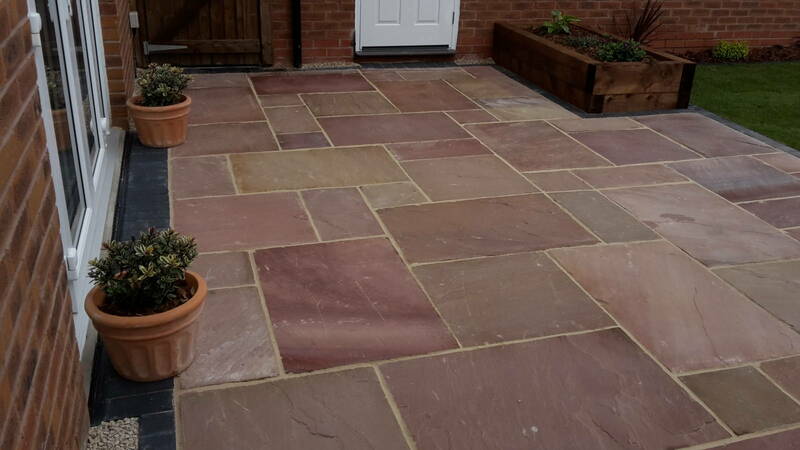 We cannot guarantee the exact paving colour tones.